Carbon is a building block of life on our planet. It is stored in reservoirs on Earth—in rocks, plants and soil—in the oceans, and in the atmosphere. And it cycles constantly between these reservoirs. Our research group at the University of Oklahoma is leading NASA’s latest Earth Venture Mission, the Geostationary Carbon Observatory, or GeoCarb. This mission will place an advanced payload on a satellite to study the Earth from more than 22,000 miles above the Earth’s equator. 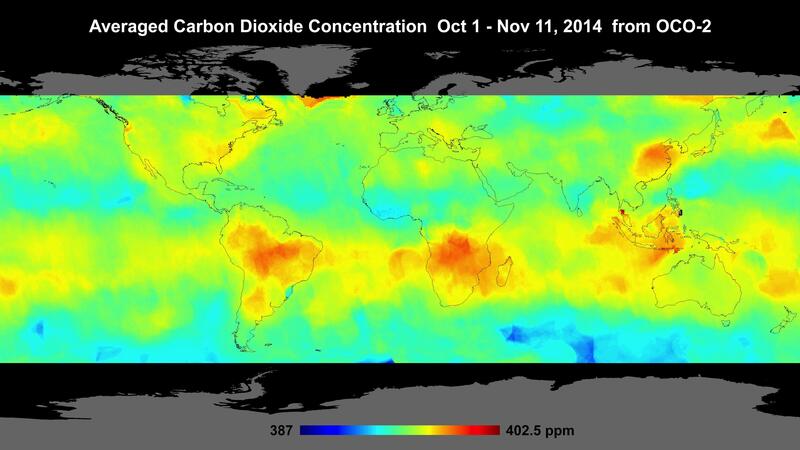 Observing changes in concentrations of three key carbon gases—carbon dioxide (CO2), methane (CH4) and carbon monoxide (CO)—from day to day and year to year will help us to make a major leap forward in understanding natural and human changes in the carbon cycle. For example, during the El Niño of 1997-1998, a sharp rise in CO2 was largely driven by fires in Indonesia. The most recent El Niño in 2015-2016 also led to a rise in CO2, but the cause was probably a complex mixture of effects across the tropics—including reduced photosynthesis in Amazonia, temperature-driven soil release of CO2 in Africa and fires in tropical Asia. These two examples of year-to-year variability in the carbon cycle, both globally and regionally, reflect what we now believe—namely, that variability is largely driven by terrestrial ecosystems. The ability to probe the climate-carbon interaction will require a much more quantitative understanding of the causes of this variability at the process level of various ecosystems. GeoCarb also will measure solar induced fluorescence (SIF)—plants emitting light that they cannot use back out into space. This “flashing” by the biosphere is strongly tied to the rate of photosynthesis, and so provides a measure of how much CO2 plants take in.